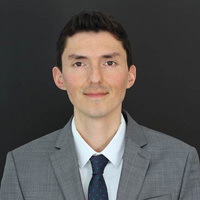 Javier's areas of expertise include managing and directing client investments, operations, manager due diligence, market intelligence, and in assisting with macro strategy and investment structuring. Mr. Perez was previously a Portfolio Manager with BPV Capital where he constructed investment portfolios with a specific focus on fixed income and government backed securities. Prior to that, he helped launch Cain Brothers Asset Management (CBAM) where he was responsible for all aspects of the accounting and trading infrastructure as well as investment management operations. Prior to CBAM, he built and led a team overseeing middle office trading operations at BNY Mellon. Mr. Perez received his BA degree from the University of Florida and is a Chartered Financial Analyst (CFA). He serves on the Orlando CFA board and is involved in various volunteer activities in central Florida.